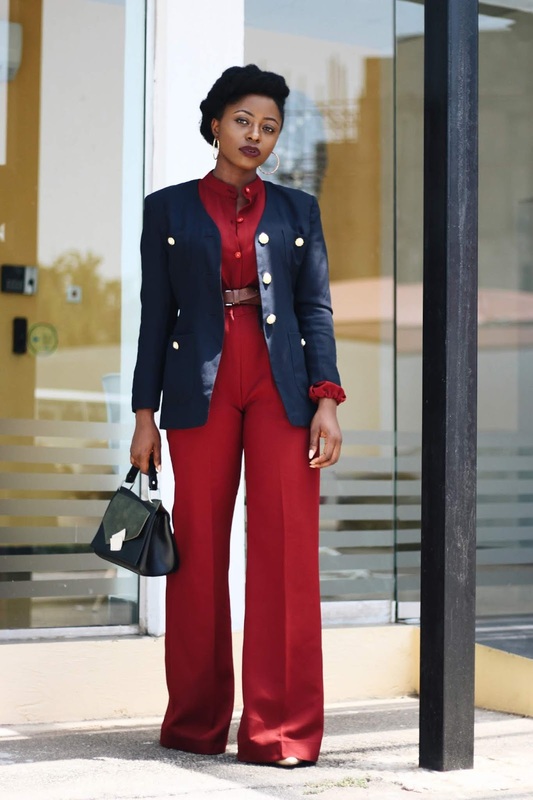 We all have that basic looking or slightly boring outfit that just needs a little oomph to take it from casual to dressy or from boring to interesting. To do this, all it requires is essential items already in your closet! Today I'll be dishing you four tips that will instantly take your outfit to the next level and even make them look completely different. Let's hope right into it! The easiest way to dress up a basic look is to simply opt for outerwear like blazers and jackets. A good blazer which is an absolute closet must-have can instantly take your outfit from boring to even work appropriate. 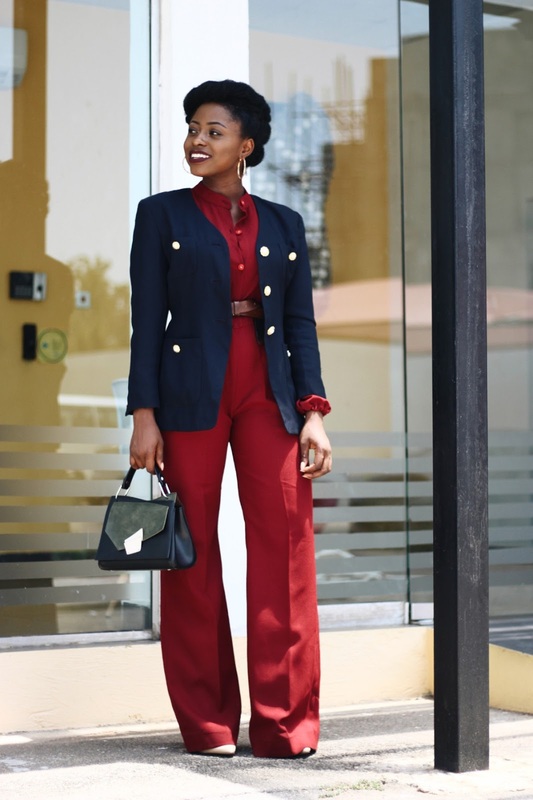 The simple act of tucking in your top into those high-waist pants or skirts can immediately take you from looking frumpy or laid back to put together and ready for business. Plus, tucking in on high-waist pieces can make your waist appear smaller depending on your body type. Whether its pairing a shirt over or underneath your tops or dresses, layering is one way to go from zero to hero in your outfits. 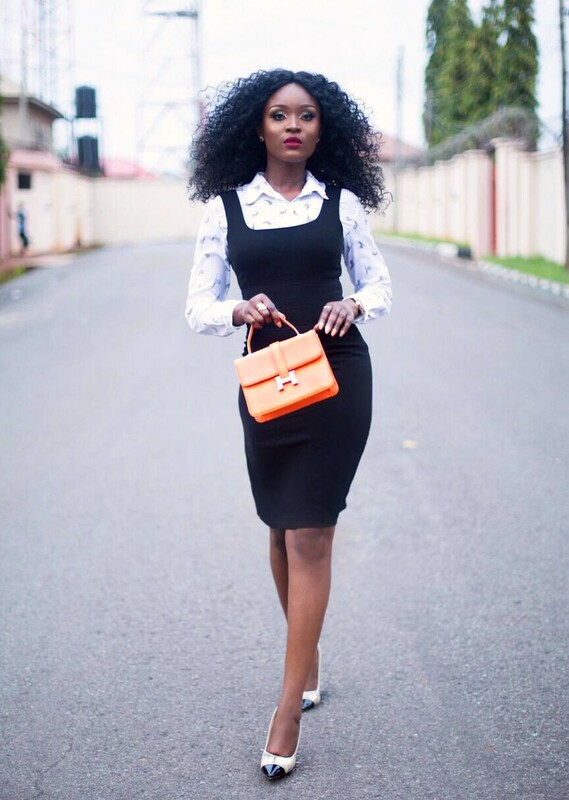 Of course as seen below by Ada of Styletitude, the white shirt which is such a classic immediately made this little black dress even more fashionable. So why not try pairing your slip tops over a nice collared shirt. Note, this tip is not only limited to white shirts as you can have fun with it too! Heels are a no-brainier when taking an outfit from casual to dressy. There's just something so elegant and put together about them especially the ever classy pointed heels. So try pairing heels with a basic denim jeans and you'll be amazed at how dressy you instantly look. 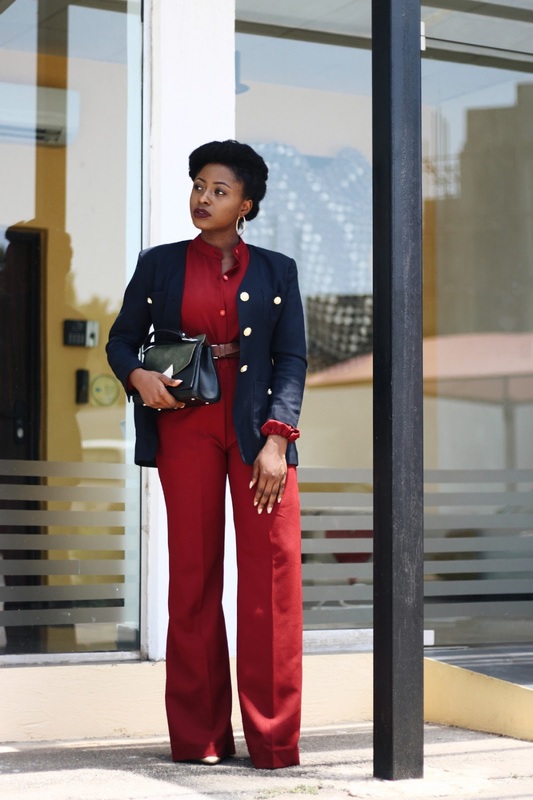 I'm sure you all remember this jumpsuit, previously styled here. 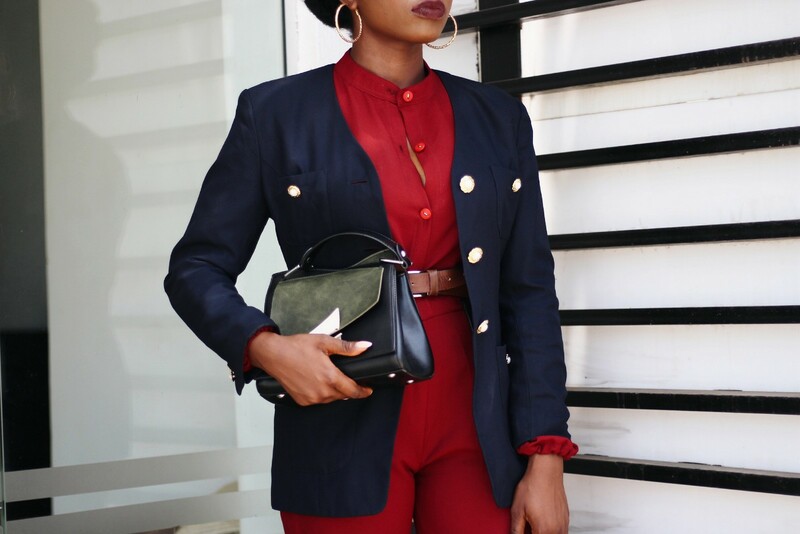 During this outfit shoot, I had a spur of the moment decision to pair my favorite retro navvy blue blazer over it and I loved the outcome and even prefer it to the initial look. I love how the details make this look, right from the bag, belt, buttons on the blazer and the color contrast. The simple addition of the blazer instantly made this look even more work appropriate. Which do you prefer, with or without the blazer. How do you like to dress up your outfits? Or take them from boring to fabulous? Throwing on a blazer is definitely my go to tip, also rolling up sleeves. Rolling up sleeves is definitely a way to make your outfit even cooler, I usually do this with oversize shirts. Thanks so much Sogie just pushing. And yes the button detail sold me too.